Brenda Moses was able to convince me to relax because she would take care of everything, and I could just believe and take care of my husband and myself. Brenda was able to move things along readily, keeping me informed every step of the way. She knew exactly what to do and when, I had complete faith in her and was able to give my husband my undivided attention. As fate would have it, just when we needed it, the claim was settled, and I was receiving all the medical attention I needed, and was able to comfortably take care of my husband thanks to The Moses Law Firm and Brenda Moses and her Legal Aid Jodi. 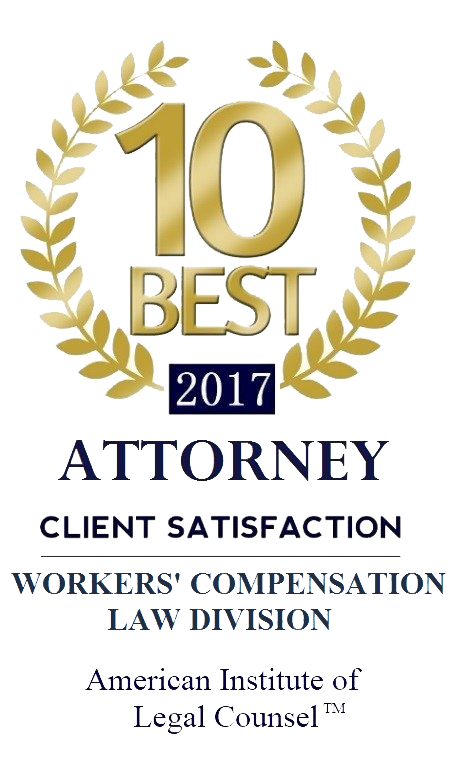 I strongly recommend relying on The Moses Law Firm if you are unfortunate enough to need a Workers Compensation Attorney, and in addition to all of the professionalism they displayed, I actually felt like family. Any time you have to deal with workers compensation claims it is never pleasant. Having a knowledgeable and caring lawyer should be your first step. Mrs. Moses was so good at what she does. I always felt informed. She told me what to expect and encouraged me not to give up. I would not want to face such a trying time with out her or her paralegal Jodie. They are such kind and understanding professionals. I was blessed to have them to guide me. While fighting for Workers Compensation benefits, I could not have asked for a better attorney and assistant. Both Brenda and Jody are pleasant, professional and Out to get what is best for you. Whenever I had a question or concern, they would take time out of their day to assure me that everything was going to be fine. They were by my side from the beginning until my settlement… and I feel that if I still had questions she would not hesitate to get the answers I needed. I highly recommend Brenda and Jody with the Moses Law Firm for your legal needs. Give them a chance.. you will not be disappointed. I don’t usually write recommendations about companies or business services. It’s my belief that it’s simply their job to provide the services they claim to offer. However, the Moses Law firm, in my opinion, exceeded any expectations I had about workers comp representation. They always returned my phone calls the same day or the next day. Mrs. Moses took the time to explain every detail and made it a point to ensure I understood what was happening. Jodi, the front desk associate, was always friendly and very helpful. When you are hurt the bottom line is: how much is your case worth, what are the steps you need to take, and what will the outcome be. What I found impressive is the realistic approach Mrs. Moses took to the whole case. She didn’t inflate numbers. She told me the amount and cautioned me about the realistic settlement and did not ever lead me to believe anything else. In my opinion if you are hurt at work and you want an honest lawyer that will fight for you from the start and reach an agreement that will benefit you and your family, this law firm is the only one I would ever contact. It doesn’t matter how complicated you think it is, how many pre existing injuries you may have, or what your job is. She treats you with dignity and respect. She understands how the system works because she came from the insurance company side. She knows what they will do and what they won’t do. She is truly a specialist in this field. Virginia workers compensation is not an employee friendly system, and you should never try to do this on your own. Brenda Moses and her legal secretary, Jodi have been a God-send for me. The workers comp insurance carrier had given me the run-around, refused to pay for treatment and even threatened to quit paying me for an injury that has kept me out of work for 5 years now. Brenda and Jodi have worked hard for the last 3 years to make sure I continue to get the medical treatment I need and the money owed to me. I believe they care about what happens to me and am so glad they are on my side. To anyone needing an attorney for a workers’ comp problem, I would highly recommend The Moses Law Firm. I had a truck accident and was out of work for 6 months. During this time work comp constantly called my home telling me I was well enough to go back to work and I couldn’t hardly get off the couch. When work comp got to where they wanted to argue with me about my pain I decided I needed some help, so I called Brenda Moses at The Moses Law Firm, right then I had an appointment. They made me feel at home anytime I saw or talked to them. I had no more problems with work comp calling me at home. It was a real stress relief for me – not only that but I got my back pay, medical paid, and my life back! They treat you like they have always known you. Brenda and Jodi – They are great! I am writing to let you know how very pleased I am with the business relationship that I share with The Moses Law Firm. I have found your service to be dependable, friendly and open over the last few years. Your attention to detail and willingness to listen to my needs is extremely important to me. I have always been treated as if I were the only client, although I know there are many many more people benefiting from your expertise. I am sure each and every client is treated as an individual and not just a ‘number’. Brenda Moses has been extraordinary in answering any questions I have whenever I call. Jodi, the Legal Assistant, has also been a major asset to me whenever I have questions, doubts or simple curiosity about anything pertaining to my particular case. Even when Ms. Moses is attending to another person, Jodi is able to answer any and all questions, by reassuring me and being compassionate and will have Ms. Moses call me in less than 24 hours when necessary. My experience with The Moses Law Firm has been nothing short of excellent. Ms. Moses is an outstanding attorney with a understanding of your rights, dealing with worker’s compensation laws. Her staff is friendly, helpful, smart, and always willing to help you in anyway needed.They also can make you smile, when life seems to be getting the best of you. If a great attorney, with a friendly staff, and winning results are what you are looking for, look no further, The Moses Law Firm is the best! Being injured is bad enough but wondering if or when you will receive the medical care needed for recovery is unbearable. The emotional roller coaster of losing my career as a large animal veterinarian and the loss of independence was devastating and the paper work overwhelming. Five years and three surgeries later I still require continued medical services and prescriptions that would not be provided without the services of Moses Law Firm, PC. Throughout the years, Ms. Moses’s quiet nature and diligence has provided a platform of trust and sincere compassion for me as an individual. Her expertise in handling the logistics involved with workers compensation regulations, insurance company evasion tactics, and medical professional alias ensures her clients will not fall between the cracks or be denied benefits because of some technicality. You will always find a kind word and supportive nature when dealing with office communications. Jodi is exceptional at keeping clients informed of deadlines, tackling tough insurance adjustors, following up on empty promises, and leading an ear when things are just overwhelming. It is with heartfelt gratitude and appreciation that I recommend Moses Law Firm, PC for legal services. I have known Brenda and Jodi from The Moses Law Firm for seven years. They have provided exceptional service. Brenda has listened to everything I have had to say without being judgmental. She is always willing to communicate with me in a way that I can understand her. Jodi treats me with the utmost respect and courtesy each and every time I speak to her. She answers all of my calls with a cheerful voice and does her best to answer any question I have. Both ladies keep me up to speed with any development what is going on with my case which is a big deal to me. I am very happy that I chose The Moses Law Firm to handle my case. I will continue to look to them until my case is closed. I highly recommend The Moses Law Firm to anyone with workers’ compensation difficulties.